BetStars is a sportsbook that belongs to the PokerStars family, whose headquarters are on the Isle of Man. Since 2014, it is part of the Amaya Gaming Group Inc. This means that there is a bright future ahead of BetStars since the Amaya Group is known for its respectability and top offers. The bookmaker is licensed in Malta. Our BetStars review will examine the strengths and weaknesses of the sportsbook regarding various aspects. Besides the BetStars welcome bonus, we will take a closer look at the breadth and depth of the sports selection, the payment methods, the customer service and the respectability of the bookmaker in general. Register at BetStars and place a bet of 10 GBP or more and get two 10 GBP free bets. Get Best Odds Guaranteed on all Irish, United Arab Emirates und Irish horse races! The online sports betting provider BetStars is part of the PokerStars family, which was originally established by Isai and Mark Scheinberg in 2001. After many years in the online poker business, the company obtained a sports betting license from Malta in 2014 and launched the sportsbook in 2015 under the umbrella of the Amaya Gaming Group. 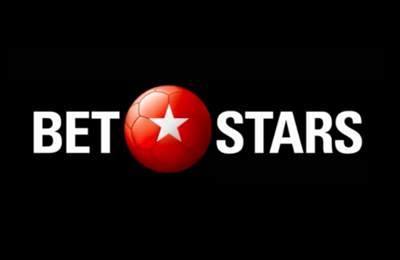 BetStars is operated by Rational Gaming Europe Ltd, which also manages PokerStars and Full Tilt Poker. The bookmaker is also regulated by the UK Gambling Commission. The bookmaker began with around 25 sports markets and the brand has been promoted by various ambassadors such as Neymar and Cristiano Ronaldo. In a very short time, it has become very popular among punters. According to our BetStars review, a definite advantage for bettors is the full integration of BetStars with the poker platform PokerStars. Our BetStars review found the new customer offer for UK residents to be quite “British”. The BetStars bonus comes in the form of two free bets amounting to 10 GBP each, thus totalling 20 GBP. As a new customer, you need to register at BetStars and make a first deposit in order to qualify for this offer. The minimum deposit is 10 GBP. Neteller and Skrill are not eligible payment methods for the qualifying deposit. Then you have to place your first bet of 10 GBP at accumulated odds of 2.00 (evens). Within 48 hours of placing your qualifying bet, BetStars will credit your betting account with 2 x £10 Free Bets. You then have 7 days to use those free bets on any sports market, but not as system bets or Spin & Bet. There are no minimum odds and once your bets are settled, you can withdraw your winnings. You must opt-in for this offer since there is no promo code for this bonus. The BetStars bonus offer is not very complicated. Our BetStars review has drawn up some step-by-step instructions to make sure you obtain the free bets. Step 1 – Registration: At the top right of the BetStars homepage, click on the green “Join Now” button. Fill in the registration form with your personal information such as country of residence, e-mail address, as well as user ID and password for your account. Step 2 – Making a deposit: Select a payment method (Skrill and Neteller are not eligible for the bonus) and make your first deposit amounting to £10 or higher. Step 3 – Fulfil the bonus conditions: Place a £10 bet on any sport at odds of 2.00 (evens). Once your qualifying bet is placed, BetStars will credit your account with 2 x £10 free bets within the next 48 hours. Step 4 – Use the free bets: You have 7 days to use your free bets on any sports markets at any odds. Please note that system bets and “Spin & Bet” are excluded here. Like most serious bookmakers, BetStars also has promotions for existing customers. During our BetStars review, one of those was the “Premier League 80 Minute Free Bet”. BetStars will give you your money back in the form of a free bet up to £20 if a winning match result bet is turned into a losing one after 80:00. This is valid for any Premier League match. The “ACCA” bonus up to 100% is another offer that BetStars has to entice customers. When you place a treble or higher on any football matches and your bet happens to win, the bookmaker will boost your winnings with free bets and cash up to £100,000. Since BetStars is still relatively new to the market, it comes as no surprise that the sports selection is quite manageable with around 25 different sports. Among those, you will find football, of course, as well as horse racing, tennis, basketball and ice-hockey. Fringe sports such as biathlon and cross-country skiing are also represented, depending on the season. In addition, the bookmaker has a selection of special bets on entertainment (e.g. Golden Globes), novelty (the next royal baby’s gender) and politics (the UK and US elections). The breadth is not as large as at other top bookmakers because BetStars tends to focus on major events. The offer lacks in depth since mostly British leagues are present, although sometimes there are up to 90 different betting markets. In contrast, you will find only 18 betting markets for top games in basketball. There is certainly room for improvement here. The major sports can be found again in the live-betting area of BetStars: Football, basketball, volleyball and ice-hockey. Fringe sports are not usually part of the in-play portfolio at this sportsbook. What is more, there are not many different bets even for the top sports. Unfortunately, the sportsbook does not offer any live-streaming at the moment. A positive aspect of our BetStars review was the odds key. With an average of 94% and even up to 97% for big football events, the young bookmaker makes a good figure. Since the betting limits are quite generous at BetStars, this is surely a winning combination. In the case of fringe sports, the percentage is lower, but still quite good at about 92%. More importantly, the odds are stable with no tendency towards favourites or outsiders. Our BetStars review can conclude that the sportsbook has a lot of potential. Since the bookmaker is part of the larger PokerStars family, there is no doubt that this is a safe environment for punters in general. The sports selection is adequate for newcomers, yet more experienced bettors would prefer more breadth and especially depth in the betting markets. The customer service should definitely be improved since the contact channels are very limited. Regarding the BetStars welcome bonus offer, it is not very high but can be easily obtained. The addition of live-streaming would be essential to attract more experienced punters. The highlight of this fairly new sportsbook is the odds which are reasonably high and stable. Therefore, BetStars has the potential to become a top bookmaker in the future. All serious and reliable payment methods are present at BetStars. Our BetStars review noticed that the bookmaker does not charge any fees for transactions. Among the deposit options, you will find Visa, MasterCard, Maestro, Entropay, Neteller, PayPal, Skrill, Paysafecard and bank transfers. The minimum deposit amount varies between 5 and 10 GBP and in most cases, your funds are deposited immediately into your betting account. Step 1 – Go to the banking section of your account: Sign in, go to the Cashier and click on “Deposit”. Step 2 – Select the desired payment method: Choose a payment option that suits you best. Enter the amount and currency, as well as any other details required by the financial service provider in question. Step 3 – Transact: Check the information and confirm your transaction. Your money should be deposited within minutes for most payment methods. Our BetStars review recommends using the same payment option for your deposits and your withdrawals. This will prevent an additional account or identity verification on the part of the online betting provider. BetStars does not charge any fees for payouts either. The minimum amount that can be withdrawn is 10 GBP. The processing time ranges from 72 hours for credit cards to a maximum of 5 days for bank transfers. If you use e-wallets, your funds can be withdrawn immediately. In the course of our BetStars review, we were able to go through the FAQs. This area is very transparent and many points are clarified. However, if you need to contact the customer service for a quick response, then you are in for a surprise here. Even though BetStars ensures that punters can reach the support 24/7, this cannot be done by telephone or live-chat. The only possibility is to send a message through a contact form found in the FAQs section when you click on “Customer service 24/7” in the top right corner of the website. Or by clicking on “Help” once you are logged in. So technically, you will receive a reply by e-mail some time later. One would expect more from a serious sportsbook. Social media plays an important role for BetStars, especially the Twitter account (@BetStars) with around 22,000 followers and frequent tweets promoting special offers, sports news and quizzes. Regarding Facebook though, the page you are redirected to via the link offered by the sportsbook was not available in the course of our BetStars review. On YouTube, you will find various sports news, interviews and betting tips. Reliable or scam: How safe is BetStars? BetStars has a number of licenses and certificates, but this is not surprising since it is linked to the Amaya Gaming Group. The bookmaker was launched at the end of 2015 and is licensed in both by the UK Gambling Commission and the Gambling Authority of Malta. All of these facts speak in favour of the respectability of BetStars. Regarding responsible gambling, you will find certificates from GamCare, Gaming Labs and Rational Group on the BetStars website. Moreover, the bookmaker is also a member of the Interactive Gaming Council. Your sensitive data and your betting account are secured by SSL encryption and in addition, BetStars has implemented standard validation procedures via PIN and SMS. Can I Request Odds At BetStars? Yes, you can. You can contact the customer service via the form in the “Help” section of BetStars and make a request to place a bet on a market that is not currently offered. What are Star Codes at BetStars? Star Codes are different bonus codes that can be used to claim specific promotional offers. Users can enter a code in the software to opt-in to promotions or receive bonuses, tournament tickets, special rewards, etc. In most cases, Star Codes can be used even without making a deposit. Some Star Codes are offered to everyone but others only to some players in particular. Is there a BetStars App? Yes, there is. According to our BetStars review, there is an app for iOS and Android. You can get the iOS app from the Apple Store. Nevertheless, there is no dedicated app for Android users, due to the fact that Google does not support real money betting apps. You can find out how to install this app by following the steps on the BetStars website. What is In-Play betting? In-Play betting is when it is possible to place a bet while a match or an event is ongoing. For instance, if you are watching a “live” football match and you wish to place a bet on the final result, this can be done in the live-betting section at BetStars. This is offered for many sports events, but not all of them. Just take a look at the In-Play tab to see which events are available at that moment. Is BetStars committed to Responsible Gambling? Yes, it is. The Stars Group, in general, is committed to help and protect gamblers who might become addicted to gambling. There are several tools offered by BetStars such as deposit limits, self-exclusion, as well as guidance on responsible gaming, risk identification and player verification.